Removing wrinkles from the skin is probably one of the most common reasons individuals seek out dermatological and cosmetic treatments. We all develop wrinkles as we age, but that doesn’t mean we have to live with them. There are many methods available to consumers to try to erase wrinkles although many involve the use of unwanted chemicals or surgery. At Dianna’s Laser, we are pleased to offer a treatment that can achieve similar results called laser wrinkle reduction. 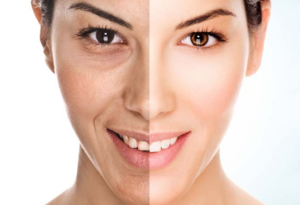 Laser wrinkle reduction is a quick and effective treatment used to reduce the appearance of wrinkles that uses a yellow laser light to stimulate the body’s own collagen to naturally replenish itself. The end result is that the new collagen gradually fill lines, wrinkles, and creases producing a more youthful look. Book Your Appointment Online Via Booksy Now! Email Us Now to Book Your Appointment!